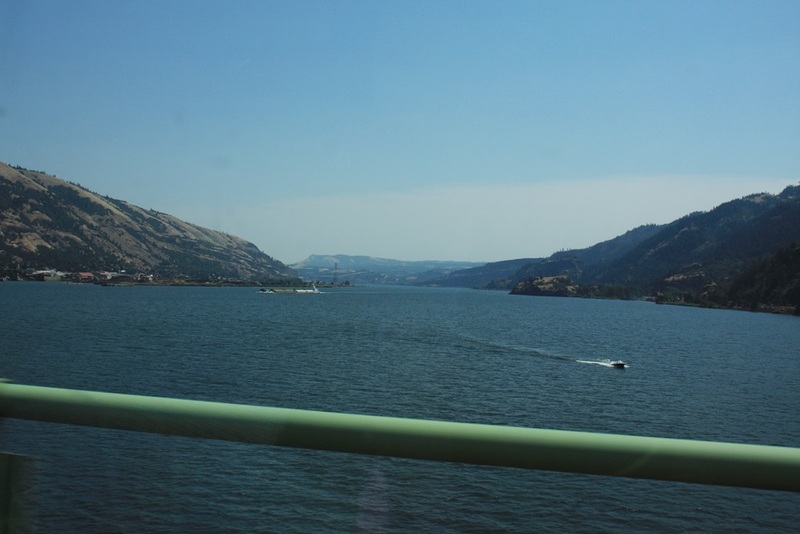 From our spot at the Portland/Fairview RV park we made a day trip up the Columbia River Gorge to Hood River. There we knew from past experience that we’d find Double Mountain Brewery. What we remembered most about our last visit wasn’t the beer so much, other than that they do have it, as it was the thin crust brick oven pizza. 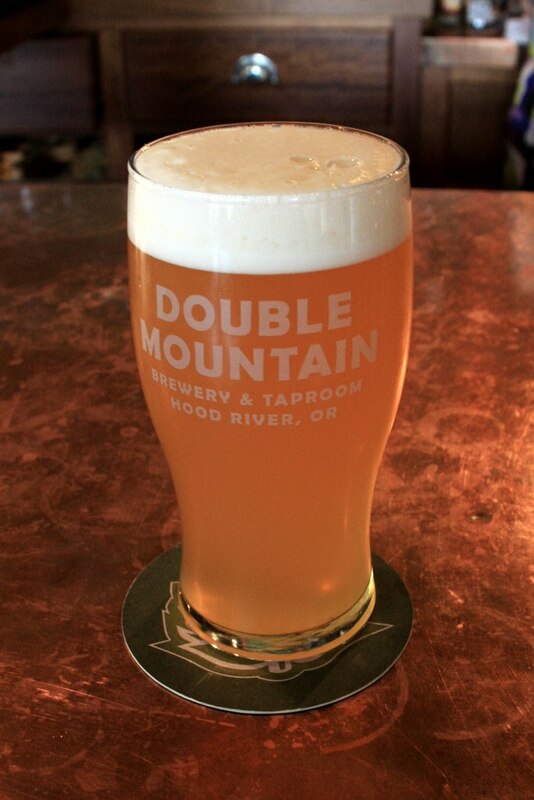 So after driving around the town of Hood River for awhile, spotting some VW buses, admiring the views of the mountains and river, and a quick stop at Ace hardware, we ventured over to Double Mountain Brewing, sat at the bar and after a few tastes ordered a couple of beers. 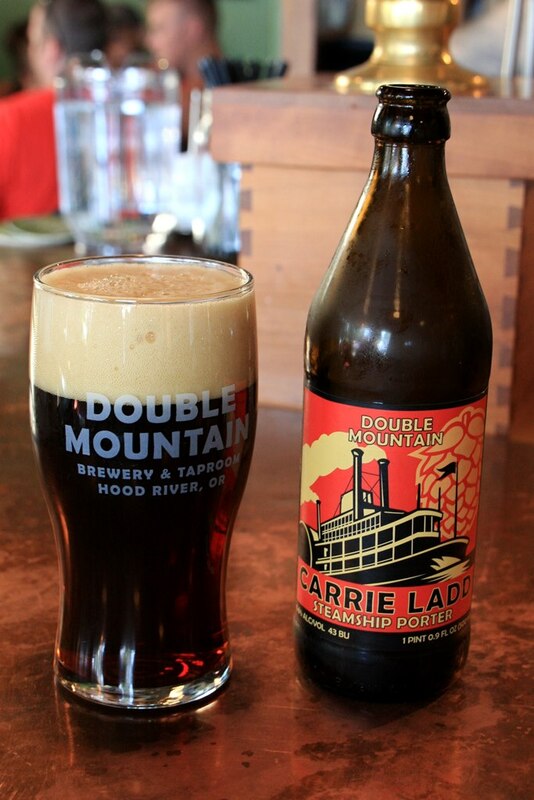 Karen settled for a bottle of their Carrie Ladd Steamship Porter and I had the Homestead Northwest Pale Ale. 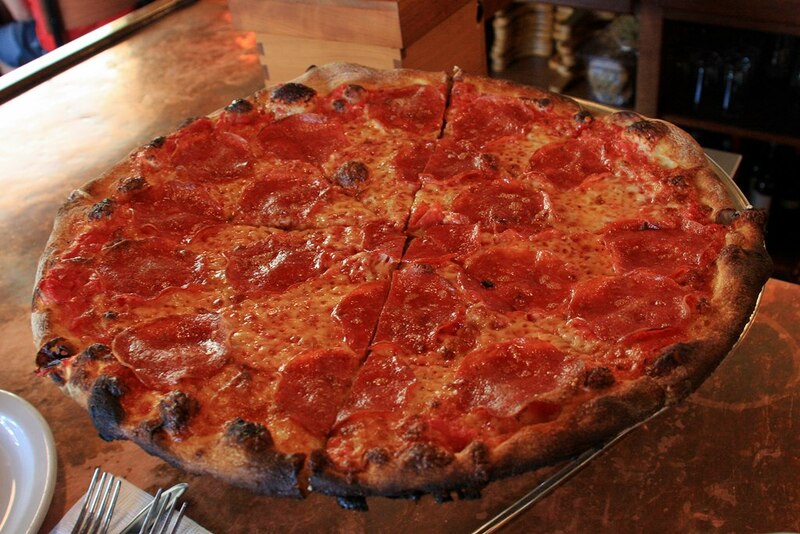 Then we ordered a pepperoni pizza, well done, of course. The beer was good, the pizza was excellent and we got a tip from the guy seated next to us about another brewery on the Washington side of the river back toward Vancouver/Portland. First, though, we would head across the Columbia River via the narrow, steel-grated, almost-mile-long bridge to White Salmon, Washington, where we would check on availability of an RV site at the Bridge RV park and then go up the mountain into town to the brewery we already knew about, Everybody’s Brewing. This is a great little brewery with excellent beers, good food and on a clear day, a beautiful view of Mount Hood from their patio. 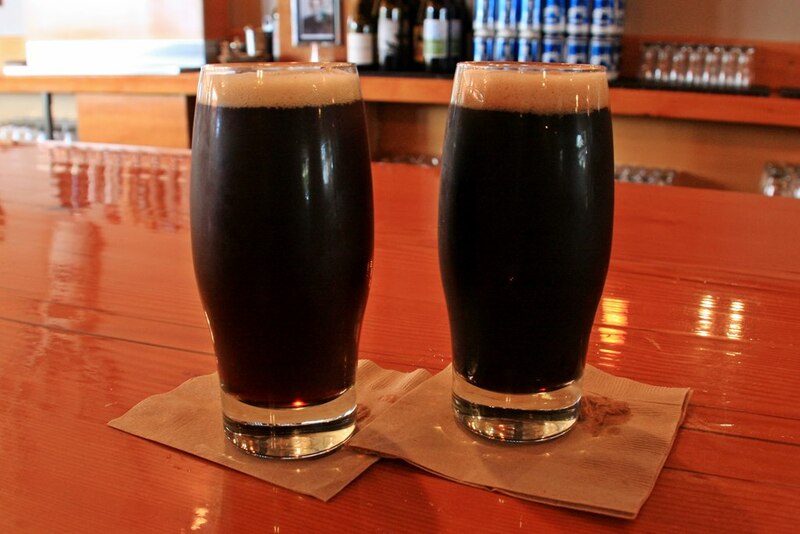 Since we had already eaten and it was too hazy to see much of the mountain we enjoyed the Pucker Huddle Porter and Cash Stout Oatmeal Stout from our seats at the bar. On Highway 14, about half way back to Vancouver, which is across the river from Portland, in Stevenson, Washington, we found Walking Man Brewing. We walked past the many patrons enjoying the warm sun in the outdoor seating and took up seats at the bar indoors. After tasting a couple and not being too thrilled with the brown ale or the black cherry stout, Karen stuck with a glass of water. 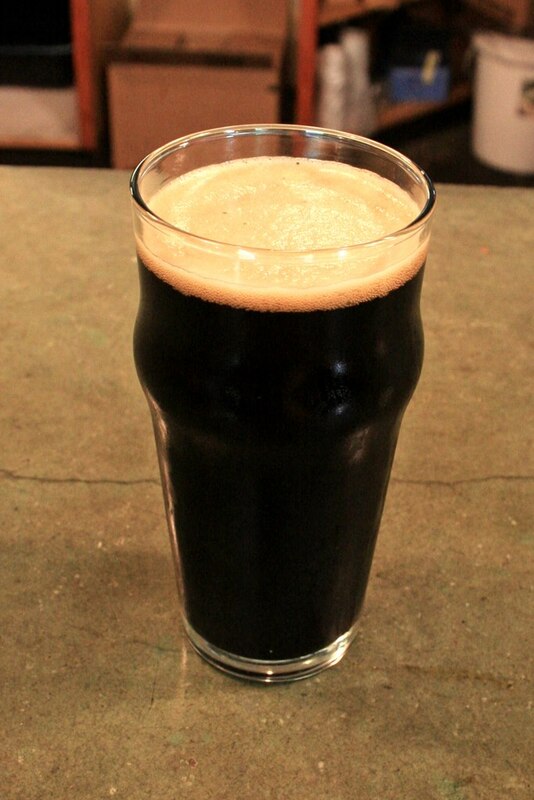 I don’t care much for fruit beers but the black cherry stout sounded kinda interesting so I got a pint. Turns out that a pint of it is too much for me. The flavor that reminded me of a cherry Coke without much sugar got old about half way through. It might have been a pretty good stout without the fruit. A short distance before Vancouver and the I-205 bridge that takes us back to Portland is the town of Camas. 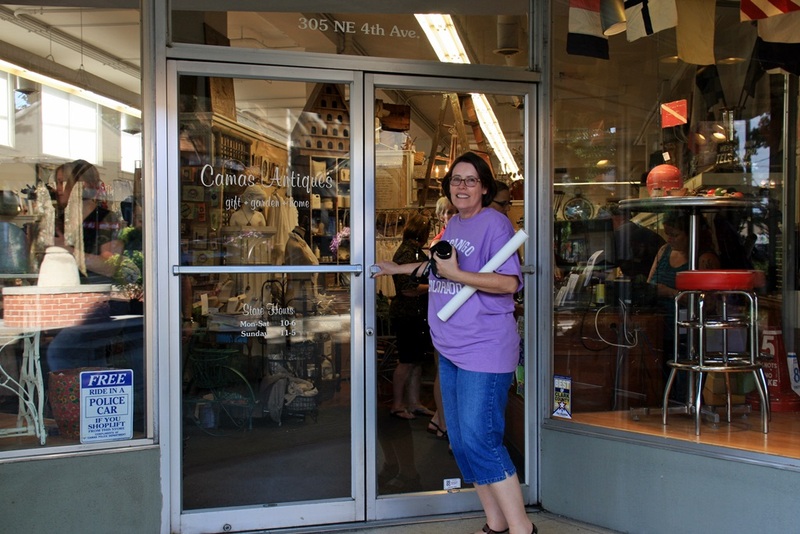 On our last visit here two years ago, Karen discovered Camas Antiques. She says it’s one of the nicest antique stores in the country. A girl store for sure but Karen is a girl so it works out very well. This entry was posted in Beer, Oregon, Pizza, Scenic, VW Bus and tagged Beer, Breweries, Brewery, Bus, Craft Beer, Food, Motor Home, motorhome, Oregon, Pizza, RV, Scenic, Travel, VW Bus, Washington. Bookmark the permalink.